Many years ago, my lovely wife and I were on a trip to England to visit our good friends (one of which is a fixture in our Facebook group, Richard) and we took a few days to visit a few distilleries in Scotland. We would eventually visit The Macallan, The Glenlivet, and drive around the outside of a few others. We stayed a few nights outside the town of Craigellachie, which was right next to The Macallan. As you might know, Macallan Distillery is in Charlestown of Aberlour. While we were enjoying lunch someone, someone told us that we had to visit the distillery because it had “one of the best tours” available. Now, we’d just gone through The Macallan on their Most Precious tour and were on our way to Glenlivet (dodging Glenfiddich trucks the whole way), so we didn’t have time to squeeze in another distillery but the name always stuck. It wasn’t until years later that I’d enjoy A’bunadh in its cask strength glory but I’ve often enjoyed the 12yo. 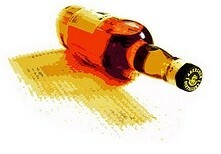 When I think of Aberlour, I think sherry. Most of the Aberlour spirits are aged in former bourbon casks, which is common, but they do have quite a few finished in various dessert wines, like sherry. The 10yo is a double cask matured spirit, matured in traditional oak and then finished in sherry casks. Finish: Medium finish with lots of fruit, ends with the richness of a dark chocolate with some bitterness. An enjoyable dram, you have to like the sweetness imparted by a finish in sherry, but it won’t blow your socks off. Whereas my first taste of A’bunadh begged me for more, this one was just a solid sherried whisky that checked off all the boxes. If you love bourbon and wanted to dabble in scotch, this would be a good choice because the sweetness is a nice transition. We can pick it up for $45 locally and at that price it’s a good deal. 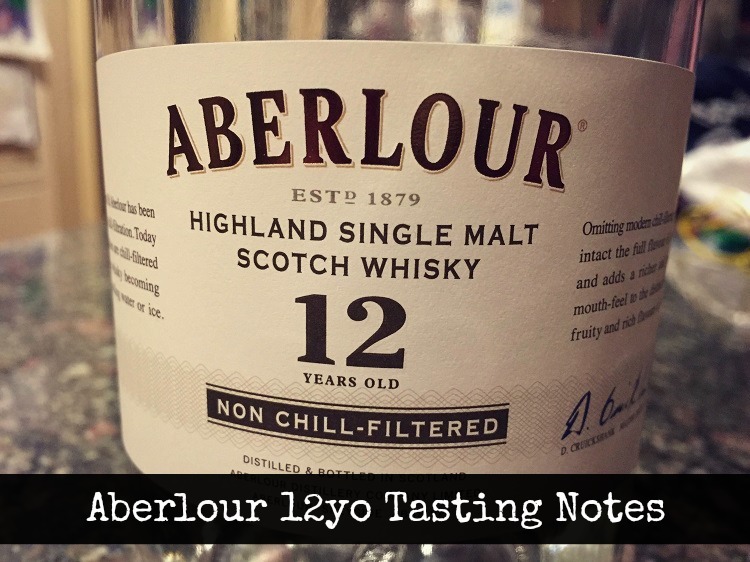 This entry was posted in Tasting Notes and tagged Aberlour by Jim. Bookmark the permalink.